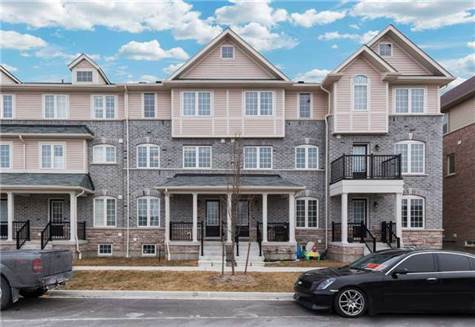 Luxurious 3 Bedrooms & 3 Bathroom Townhouse!! In A Very Desirable Area!! Close To Public Transit, Hwy 401 & Hwy 412. Kitchen With Backsplash, Center Island, Stainless Steel Appliances. Large Living & Dining. Walk Out To A Balcony With Gas Line for BBQ. Master Bedroom With His & Her Closet. Upgraded Master Ensuite . S/S Fridge, Stove, B/I Dishwasher, B/I Microwave, All Blinds, Central Air, Washer, Dryer, Garage/Door Opener W/ 2 Remotes & Entry Pad. 2 Parking (1 in Garage & 1 Outdoor).